YingZhao Liu (b. 1956, China) Holds a BFA from the Heilongjiang Normal College, China and a MFA from the Lu Xun Academy of Fine Arts, China. YingZhao has participated in numerous exhibitions in China, US, UK, Japan, Taiwan, Hong Kong, Malaysia, Macau and Indonesia. 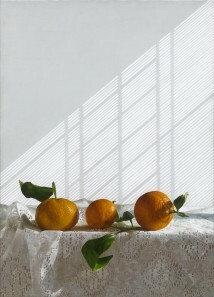 Recipient of several awards including First Class Honors Award – 1st Still Life Oil Painting, Exhibition of China. YingZhao’s unique technique and use of light make him one of the most outstanding contemporary Chinese artists.